A building standard that originated in Germany in the 1990s, PassivHaus provides a framework for creating homes that require exceptionally low energy consumption. Hundreds of new homes have now been built in the UK to this standard and have amazingly low energy bills. Many of these homes are so energy efficient that they don’t include a regular central heating system. While it is much harder to achieve PassivHaus standard when renovating a home that's already established – mainly because it requires the retrofitting of modern materials and often the reconfiguration of doors and windows – this doesn’t mean it can’t be achieved. In fact, renovators often use PassivHaus standards as a guideline for improving their home’s energy efficiency. Can I meet Passivhaus standards when renovating? PassivHaus was originally a build method reserved for newly constructed home; however, experts have recognised that homeowners remodelling their property were attracted to potentially low energy bills. Consequently, the EnerPHit certification was developed as a guide for making dramatic energy-saving updates to an already existing property. This applies the same principles of airtightness, insulation and solar power to existing properties, potentially cutting energy usage by around 80 per cent. If you're concerned with improving the energy efficiency of an old home, you may found our specialist guide a useful read – it contains plenty of easy and achievable tips. Typically, insulation is required in the roof, which, given the thickness of insulation, may involve taking the cover off; in the floor by digging out inches of solid material; on external walls; and in internal walls, as ‘cold bridging’ (an area in a building where a gap occurs in the insulation material, allowing cold air to circulate and increasing the risk of condensation) can occur where internal walls meet exterior ones. With this in mind, airtightness is a key element of the PassivHaus approach and is most dependent on good site practice rather than types of designs and products used. Good site practice includes ensuring contractors are careful to seal all gaps – Pro-Clima tape is good – and pack insulation tightly. Another key consideration is specification, particularly windows and doors. To gain PassivHaus certification, products need to comply. Triple-glazed windows are a must, but only certain suppliers have received PassivHaus accreditation, which limits your options and will likely cost you more. Search your local area for approved suppliers. It’s difficult to achieve full PassivHaus certification when renovating a house, but not impossible. The difficulties of working with an old house mean the EnerPHit standard allows for some manoeuvre. For example, by allowing offsetting of wall U-value requirements if insulation thickness cannot be achieved due to structural constraints. Addressing issues such as airtightness and cold bridging in an older house is complex, so speak to a structural engineer to assess feasibility and cost benefits. One of the main principles of PassivHaus is managing passive solar gain – using the warmth of the sun as free heat. While easier to plan when building from scratch in terms of deciding on the best orientation and including expanses of glazing on a south-facing elevation, on existing homes, you’ll need to think carefully about design details. Often, achieving the desired results comes from a comprehensive remodel. Because the requirements of PassivHaus are so exact, for a home to be a fully certified, the design has to use approved materials and go through a specific planning route called the PassivHaus Planning Package to ensure criteria are met. As this can prove both difficult on site and more expensive than regular construction, many homeowners tend to use PassivHaus as an inspiration for high levels of airtightness, insulation and solar gain, without being certified. 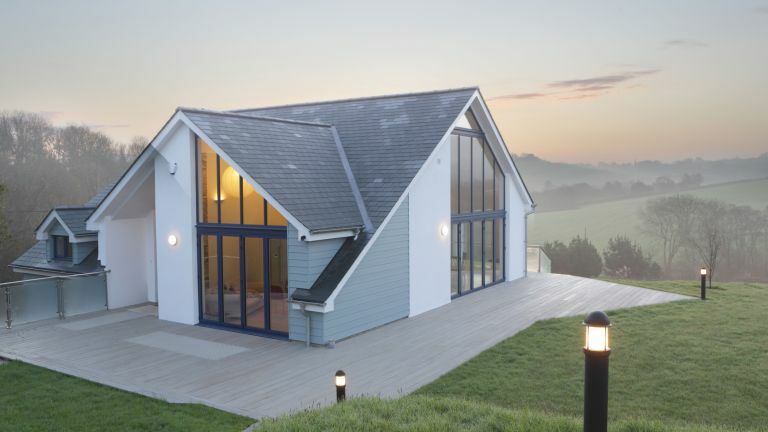 The extra costs incurred to create a certified PassivHaus or EnerPHit, as opposed to one meeting building regulations standards alone, offers an additional expenditure of around 15 per cent, taken up by windows, insulation and ventilation. If you are committed to achieving EnerPHit certification, you need to think about it from the conception of your project. Use a PassivHaus-accredited designer, who will ensure your scheme meets standards and offer advice on whether requirements can be achieved.